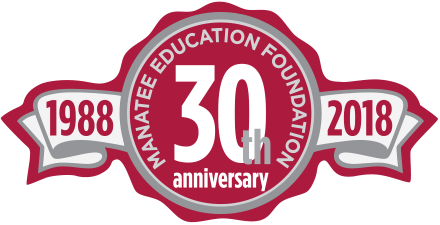 The Manatee Education Foundation (MEF) and its Partners are enhancing public education in Manatee County every day. At MEF we have a saying, “If everyone gives a little, our kids will gain a lot.” And, it is precisely true. If our community, businesses and families all contribute to our classrooms, even just a little, through time or treasure, the educational experience of all students will improve. Watch the video presentation featured in this page to see how people and businesses are making a difference in Manatee County classrooms, one magical moment at a time. The Manatee Education Foundation could not make all of its programs and sponsorships possible without its many dedicated community supporters, volunteers and corporate contributions. Below is a list of our current and upcoming community events. Click the links for additional event information, participation and sponsor registration forms. Call our office with additional questions or to see how you can get more involved. The Manatee Arts Education Council, in partnership with the School District of Manatee County and the Manatee Education Foundation, is thrilled to present the premier of “Arts Alive: Manatee’s Celebration of the Arts.” Arts Alive will feature K-12 performances, a silent auction of K-12 student visual artwork featured in the Superintendent’s Honor Gallery, and recognition of outstanding arts education legacy leaders from our schools and community, who will be honored with the first-ever Manatee Arts Education Council (MAEC) Arts Alive Awards. Each award will be named after the first recipient and hold the name in perpetuity as it is awarded annually in future years. 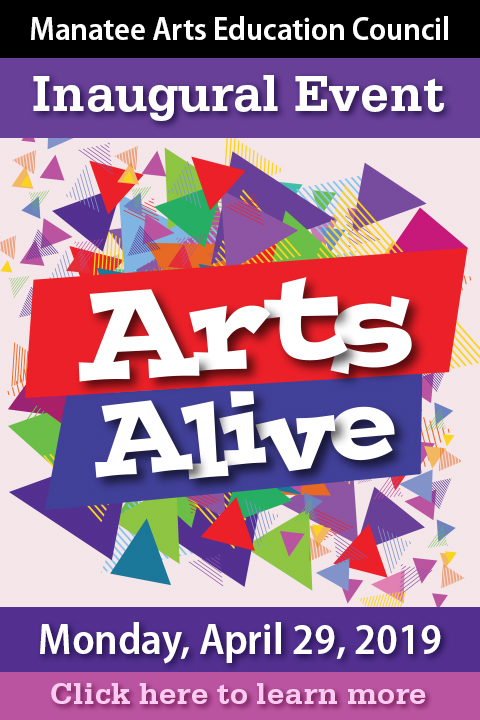 Arts Alive will begin with a catered reception featuring hors d’ oeuvres and open bar, silent art auction and live entertainment in the MPAC lobby from 5:30-6:30 PM. The awards and performance program will be held in the MPAC Theatre from 6:30-8:00 PM. Valet parking will be available. Click here to purchase tickets online now. This popular, fun and exciting annual golf classic benefits the children and teachers of Manatee County Public Schools. A variety of sponsorship opportunities are available for this event. Contact Alisha Watterson: (941) 251-4937, extension 1 or email Alisha at: wattersona@manateeschools.net. Click here to view the Facebook Photo Gallery of past Galvano Golf Classic events. 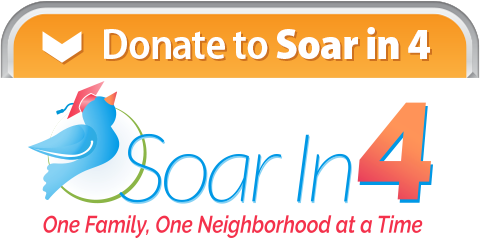 Soar in 4 is Manatee County’s movement to ensure all four year olds and their families have the opportunities and support they need for success in preschool, school and beyond. Soar in 4 is transforming neighborhoods through conversations and leveraging community resources to create generational change, educational success, and economic stability. Learn more about Soar in 4 by visiting their website at: www.soarin4.org. Help Support Soar in 4 by Giving Today! The purpose of the Manatee Arts Education Council is to promote, support and celebrate K-12 arts education programs in schools and community organizations. Stay tuned, we will be announcing upcoming events soon. For more information about the Manatee Arts Education Council, contact Julie Hebert by emailing: hebertj@manateeschools.net. A program to Honor and Recognize Manatee County’s Educator and Support Employee Finalists. The Excellence in Education Awards recognize and celebrate the outstanding attributes of the valued employees of the School District of Manatee County, each of whom strives every day to empower our students to Learn, Dream and Achieve. See you next year! Celebrating more than 30 Years! 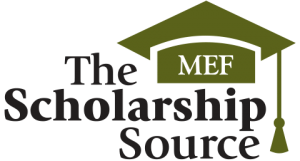 The Manatee Education Foundation is pleased to provide a directory of scholarships offered by local service clubs, foundations, schools, businesses and organizations. Click on the logo to visit our Scholarship Source webpage. 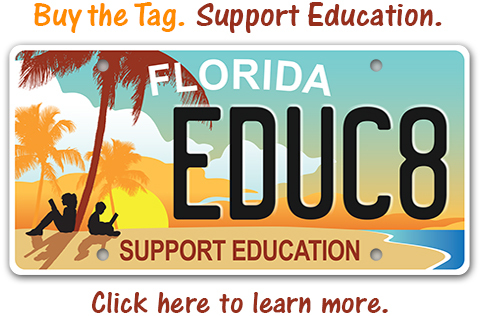 Our Mission at Manatee Education Foundation is to provide funding for innovative programs and enhanced educational opportunities for the teachers and students of Manatee County Public Schools beyond allocated state dollars. Join Us in helping the students and teachers of Manatee County continue to learn, dream and achieve. We invite you to explore the ways that a partnership between your business and Manatee Education Foundation can benefit the community.